1963 Pontiac Grand Prix by Poncho Pio. 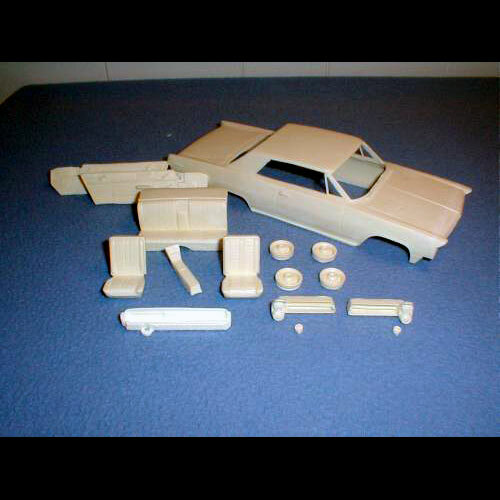 The kit" includes, body w/hood molded in, grills, turn signals, bumpers, 8 lug wheels, bucket seats, rear seat, console, interior side panels, dash board and decal sheet with "Grand Prix" scripts, arrowheads and ribbed tail panel. Kit is available from: John Piotrowski, PO Box 85, Flossmoor, IL 60422-0085.